Call 937.778.1980 or Click Here to request your admissions packet today! We help adult learners from all education backgrounds and walks of life advance their careers or learn new skills for today’s workforce. Upper Valley Career Center Adult Division is a post-secondary institution designed to combine hands-on training with classroom learning. Our Aspire Program can help you to achieve your dream of a High School Equivalent/GED Diploma or help you to refresh your academic skills and knowledge as you prepare for post-secondary entry. 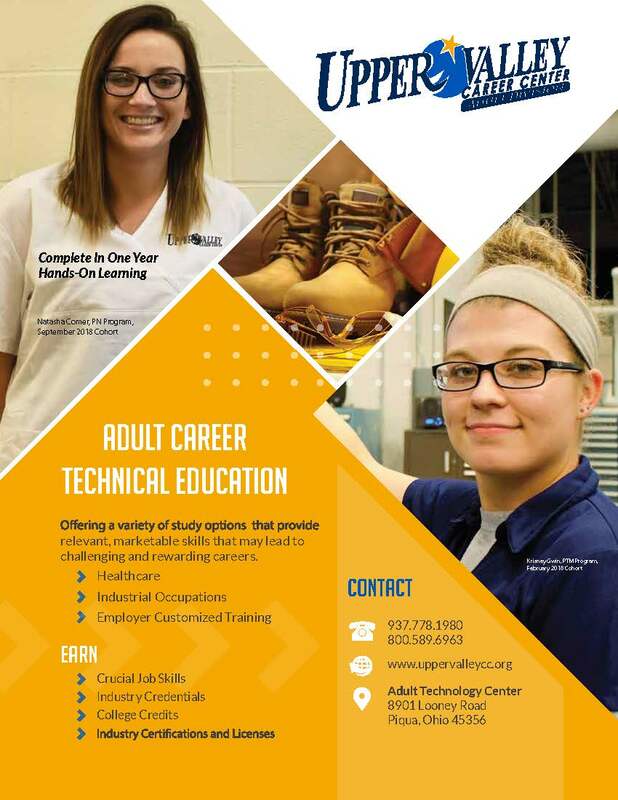 Our Career-Technology Programs prepare individuals for entry-level positions in today’s workforce. If you already know that manufacturing is where you want to go, we offer Precision Tooling and Machining as well as Advanced Manufacturing Maintenance: PLC Specialty. Our HVAC and Refrigeration program prepares students to maintain the equipment that controls climate in refrigeration units and buildings. Have you always been interested in helping others? That is what it's all about in our Practical Nursing program. Perhaps you need to update your skills. We offer hands-on, Short-Term Training Options in a variety of areas. We also offer on-line classes from our educational partner Ed2Go . Do your employees need to upgrade skills but are limited on time? Our Partners in Business Solutions Team can assist your business by providing customized assessments, screening, training, and consulting that are tailored to enable your company to achieve short and long-term goals. Customized training and employer services are available for implementation at your site or ours. Call today! Our Assessment Center is an Authorized PearsonVue testing Center. Some of the assessments we offer are: The GED® , CompTIA, Microsoft®, AT&T, WorkKeys National Career Readiness Assessments; NOCTI, Ramsey, and Northstar Digital Literacy exams. Upper Valley Career Center Adult Division is accredited by the Accrediting Commission of Career Schools and Colleges (ACCSC). 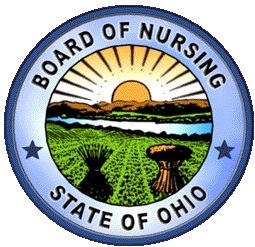 The Upper Valley Career Center Adult Division Practical Nursing Program has FULL Approval Status with the Ohio Board of Nursing.